Swing this club today. Find a store near you. 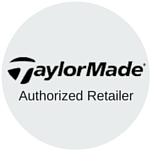 Find a location near you to swing a demo or get custom fit for the perfect TaylorMade clubs today. Driver Buying Guide Finding your next driver can be an overwhelming process, but we've got you covered. Check out our comprehensive driver buying guide to get all the tips to finding your next driver. Our goal with any driver fitting is to help you bomb more tee shots down the middle of the fairway. Our Certified Fitting Pros will work with you to find the right club with the right specs so that you can enjoy your golf game more. The Driver Fitting Process is unique for every individual and we want you to have a comfortable, fun and education experience that will make you more excited about the game. Learn more about our award winning Custom Club Fitting Process. What's included in a driver fitting? Austads.com offers simple, flat-rate shipping for standard size packages to destinations in the continguous U.S.
*Custom orders, including custom clubs, personalized balls and other items, are not eligible for expedited shipping. There is a flat $15 shipping charge for all custom orders. Oversize packages include all golf bags, golf carts, package golf sets and junior sets. UPS charges a premium to ship large packages. In order to better serve our guests, we will occasionally offer discounted shipping promotions. Any shipping discounts will be applied in your shopping cart. Orders completed by 12PM CST (1PM EST) ship out same day! All other orders will be processed and fulfilled within one business day. Orders must be placed by 12pm (CST) Monday-Friday in order to be eligible for that day's “Overnight” or “2-Day Air” shipments. Austad's Golf is centrally located in Sioux Falls, South Dakota. Most items ship directly from our warehouse there and average 3-5 business days for ground delivery. See the map below for estimated ground shipping delivery times for your area. “Overnight” shipments will arrive the next business day (excluding weekends and holidays) after departing Austad's Golf. “2-Day Air” shipments arrive in two business days after departing Austad's Golf. On-time delivery for both methods is guaranteed by our preferred carriers.Shipping delays may occur during busy Holidays or in the spring -- we will do our best to accommodate last minute and expedited orders placed during these times. UPS Next Day and 2-Day Air are available for customers looking to have products shipped to Hawaii or Alaska. Unfortunately at this time, Austad's Golf only ships to locations within the United States. Due to manufacturer restrictions, we cannot offer free shipping on any order with PING products. Some oversize items such as cart bags, package sets and travel covers are not eligible for free shipping. Austad's Golf has physical locations and charges sales tax on orders shipping to the following states: Iowa, Minnesota, Nebraska, North Dakota and South Dakota. 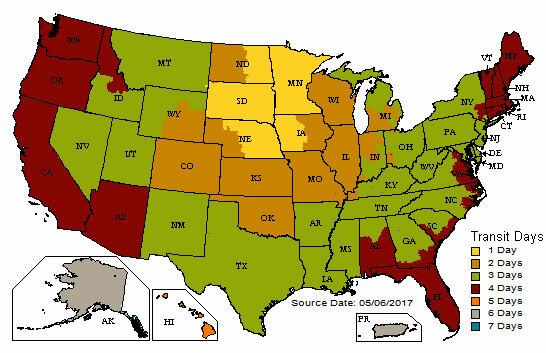 Orders shipping to states other than the five listed will not be charged sales tax.